RIO DE JANEIRO — Lightning the Olympic Cauldron is always the dramatic conclusion of the Opening Ceremony, as an honored athlete from the host nation completes the torch’s journey and sets it ablaze. With each Olympiad, they’ve seemingly gotten more grandiose. The London one was a collection of a few dozen smaller cauldrons. 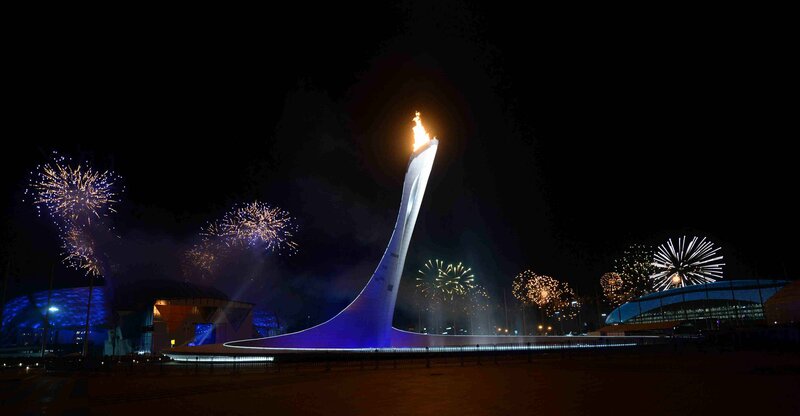 The Sochi cauldron sat atop a giant replica torch in the Olympic Park. But when Brazil’s great distance runner Vanderlei Cordeiro de Lima was handed the torch and lit the cauldron at the Rio Games’ Opening Ceremony on Friday night, he ignited a relatively small pot by modern Olympic standards. Don’t worry – they didn’t, like, run out of money for a regulation cauldron. This was by design. Artist Anthony Howe designed a wind-powered sculpture that hangs behind the flame. It’s in constant motion and gives a dizzying, spiraling look to the cauldron. Howe said it represents the sun, with the spirals representing life. It’s a comment on solar energy. So it may not be the biggest cauldron at the Rio Games, but it might have the most to say to the millions of fans who will tune in for the Summer Olympics.